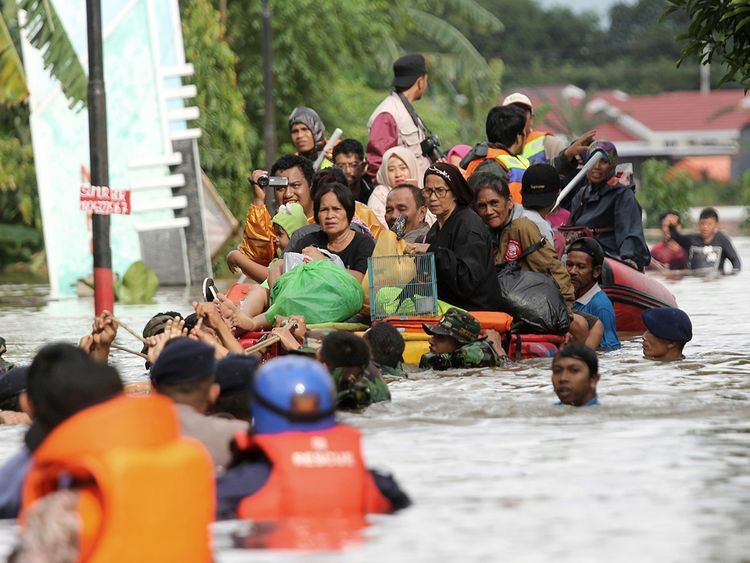 Jakarta: At least eight people have been killed and thousands forced to evacuate their homes after heavy rain triggered devastating flash floods and landslides in Indonesia, authorities said on Wednesday. Heavy rain and strong winds buffeted parts of Sulawesi island overnight, swelling rivers that burst their banks and inundated dozens of villages in nine southern districts, as well as parts of the provincial capital, Makassar. "Extreme rain that started to fall on (Tuesday) in several areas of South Sulawesi caused the flooding," agency spokesman Sutopo Purwo Nugroho said in a statement. "Boats and food assistance for evacuees is still needed," Nugroho said. "(Rescuers) are still searching for the missing."